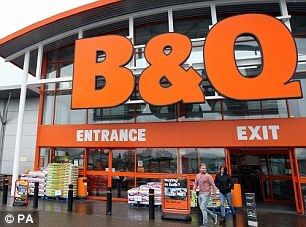 Over-60s have less than a week to join B&Q’s Diamond Club discount scheme. The scheme offers members 10 per cent off a variety of products on Wednesdays. But from September 3, the store will not accept any new members. The DIY store is also reducing the amount of goods that are discounted for existing members to around 10,000 gardening products. Plants, power tools, barbecues and many other products will remain on special offer on Wednesdays. Anyone who wants to apply to the Diamond Club should visit a store with their driving licence, or passport. A B&Q spokesman says the move is part of the retailer’s strategy to ensure customers of all ages have ‘prices they can trust’.